With all of our amazing features, and life-like VR systems you may be wondering about how the SC.CO got started. 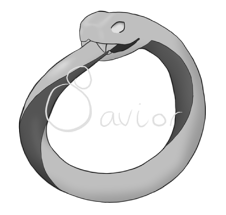 So here is some of the history behind Savior, and the company that built this beautiful world. In **** Leric Vieas pioneered some of the very first Virtual Reality systems. He may not have invented that technology, but he did invent F̶IS̀H or the Full Immersion Suit and Helmet. Which is what made Savior a possibility. With the advancements in technology it didn't take long for FISH to allow those in coma's to interact with their friends and families once more. It was a leap in technology that spread and allowed the first fully-connective robotic prosthetic devices. For Savior it was the beginning. Leric created the game as a sort of meeting place for those trying to reconnect with those that were unable to be reached by normal means, and with the help of the S͚̙̖͚̜̱C̦̭̪̹.͚̙͙͞C͓̩͉O̦̳͚̟.̮͇̗̬͕̺̘̕ he was able to fully develop that into a whole world. A world where people can be and do anything. FISH is fully immersive. Using rental scans the helmet identifies the player, and loads them into the system that's been input into the device. The helmet connects to the neural network to create simulated sensations. This is temporary for most users and so there is minimal risk of neural shock caused by being ejected from the system too quickly. This revolutionary technology allows for Savior to immediately identify and load an individual into their avatar. After **** Leric Vieas śt̷e̶̷p͏̢p҉̛e͜d ́d̴̛͢o͢w̸n from his position as a CEO of SC.CO. but we've never stopped trying to provide you - the player - with new and inventive things to keep Savior the most exciting and innovative game on the market.